Vocalist Nathan Higgins and rhythm guitarist Tyler Myers during the debut of Retro City's new EP at a house show Feb. 8. 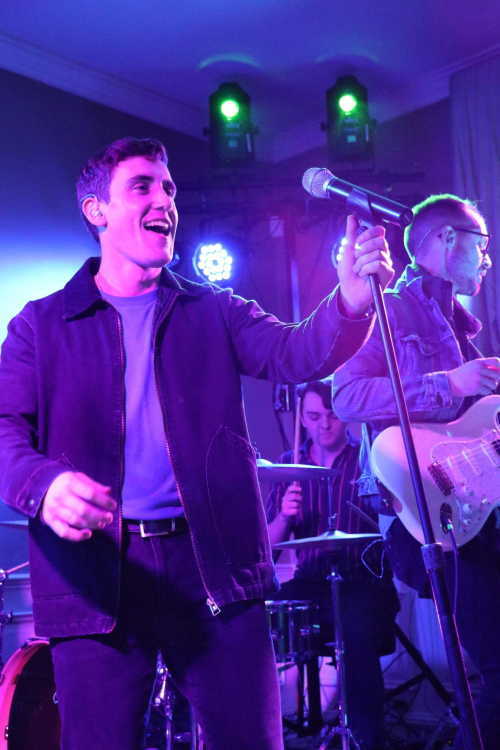 Retro City, a band made up of current and former Southeast students, has seen success beyond what its members could have imagined. The debut of two singles, “Holiday” and “Waves,” on Spotify and other streaming platforms has resulted in well over 100,000 listens in a matter of months — numbers the band attributes to the songs’ landing on playlists such as Spotify’s Release Radar and Discover Weekly and CNN This Morning. The band formed just over a year ago when southeast students and members of Lambi Chi Alpha Raleigh Davis (drums) and Nathan Higgins (vocals) began jamming with alum Taylor Bridges (lead guitar) and mutual friend Tyler Myers (rhythm guitar and sound engineer). 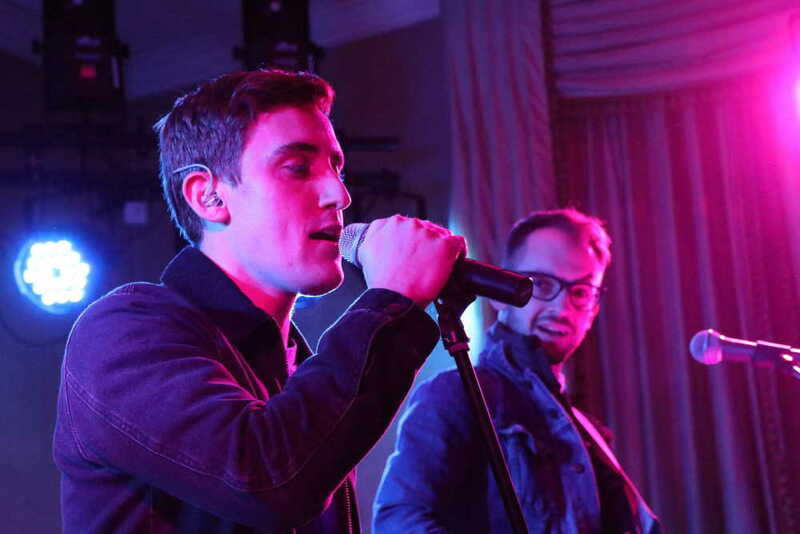 Retro City debuted their new EP for some 100 friends and fans at a house show Feb. 8. The album became available on digital platforms Feb. 15. On Feb. 15, Retro City released their freshman EP, a five-track record that includes the pre-released singles. But before the record was made available to fans around the world, it was revealed to some 100 local “super fans” in a unique setting — a massive house in Cape Girardeau owned by Davis’ uncle. 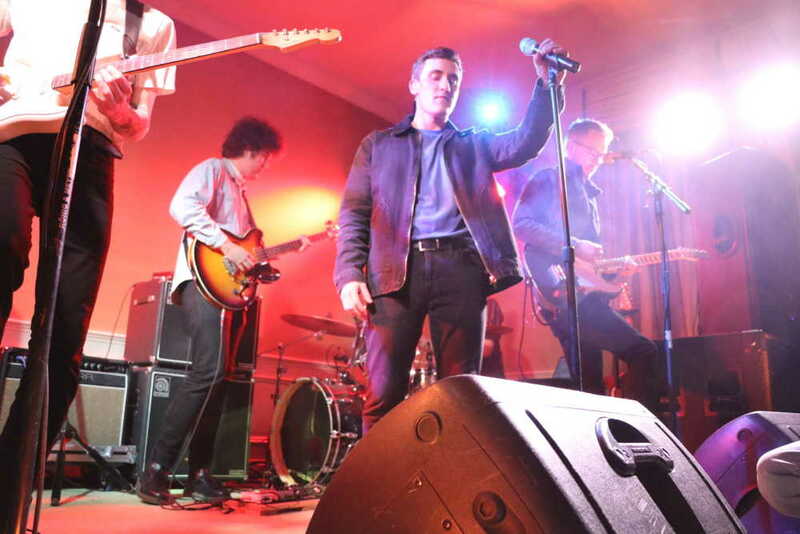 The live premiere was notably orchestrated with full setup of sound equipments and lights provided by Greg Shivelbine who had formerly employed members of the group. Two Nashville musicians and friends of the band joined the four core members for the house show to help achieve their multi-layered studio sound. The show was described as an event of gratitude for close friends and supporters who initially shared and encouraged their music. Myers said it was interesting to watch the spread of their songs from Cape Girardeau to St. Louis and Chicago to Los Angeles and New York City. The band now has followers on six continents. Guitar player Taylor Bridges plays a riff on his Jazzmaster during Retro City's first ever live performance at a house show Feb. 8. Their set debuted the band's new EP which became available digitally Feb. 15. “[We took a] completely different approach from a normal band, and it happened kind of accidentally,” Myers said. Lead guitarist Taylor Bridges said the group was unsure of whether they would ever play a live show, but have decided to roll with it. Nathan Higgins (vocals), Raleigh Davis (drums) and Tyler Myers (guitar) debut the EP of their band Retro City at a house show in Cape Girardeau Feb. 8. The EP was originally scheduled to release last summer but the deadline was pushed back repeatedly because they wanted to get it right. He said they would often write multiple parts in a single night, adding months to the release schedule. 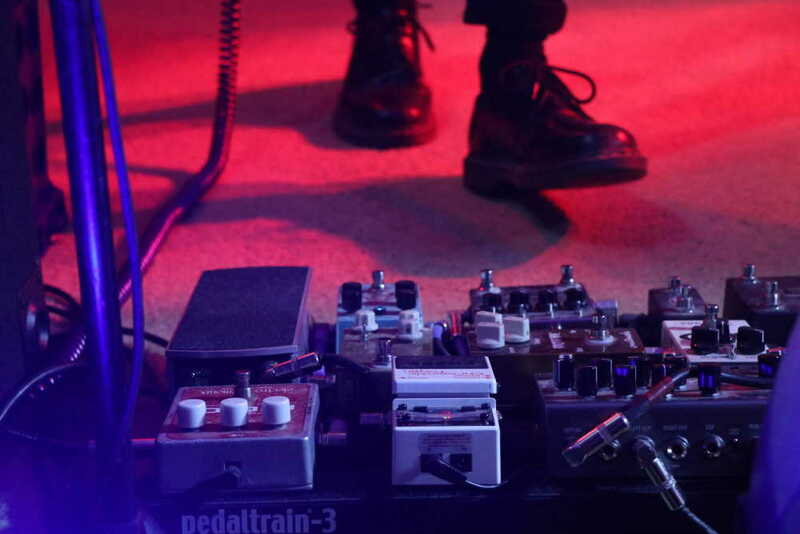 The pedal board of Retro City guitar player Taylor Bridges. The first two singles gained traction fast and continued to rise. “Holiday,” which debuted Dec. 14, has more than 100,000 listens and “Waves” is nearing 30,000 and there are some 60,000 followers of the group on Spotify alone. Guitar player Taylor Bridges plays out the solo from "I don't mind" from atop a monitor at Retro City's first ever live performance. Davis said the EP’s production was incredibly cheap and they “didn’t need to fight the Cape Bar Scene” in order to gain a following — rather the following came to them. The hometown support though, Davis said, was the coolest part. The band is unsure of what is next for them but they are open to booking shows, either at houses or in larger cities nearby. It is likely they would even consider a local music festival showing. The leading single “Holiday,” written by Myers, is perhaps the most mainstream-indie-pop sound on the record. The song tells the story of a couple falling for each other on the Fourth of July with a catchy guitar riff and narrative lyrics. “Waves,” a heavily layered track reminiscent of Young the Giant’s sophomore album “Mind of Matter,” falls directly in Higgin’s vocal-wheelhouse and showcase’s Bridges ability to construct interesting leads on the electric six-string. 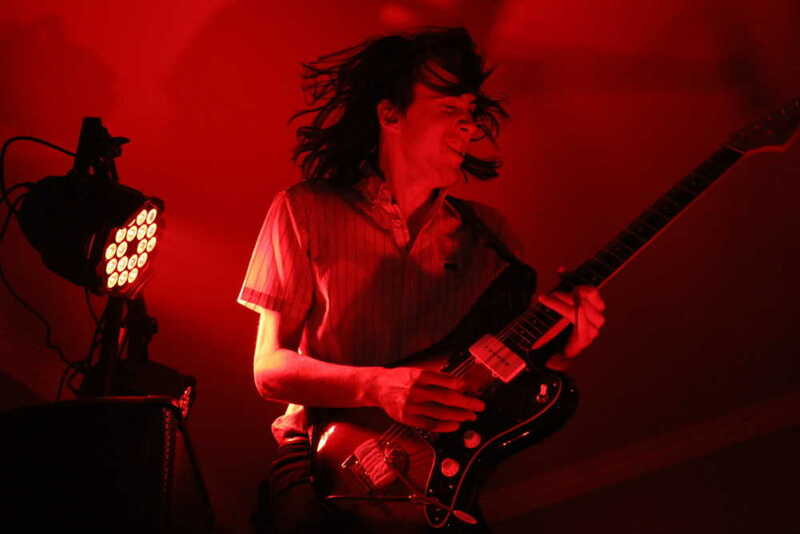 The third track, “I Don’t Mind,” reveals a grungier side of Retro City. Higgin said the lyrics for the song are his depiction of teenage angst. At the Feb. 8 house show, Bridges stood atop an amplifier while picking out a pinch-harmonic-driven solo, and the audience responded enthusiastically. 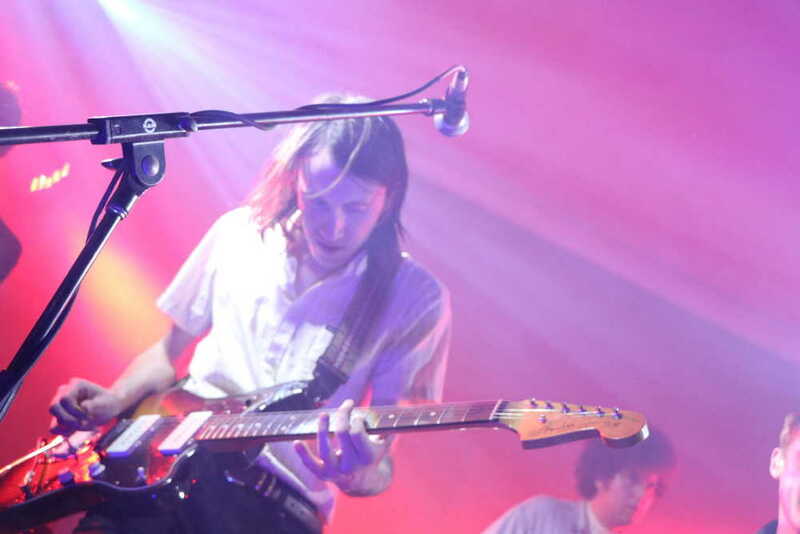 “Rooftops” and “LMK,” two final songs on the EP, are the band’s renditions of peaceful slow-jams that maintain their melodic and multi-layered style. The music of Retro City is available on Spotify, Apple Music and YouTube. For more about the band, visit their Facebook page.